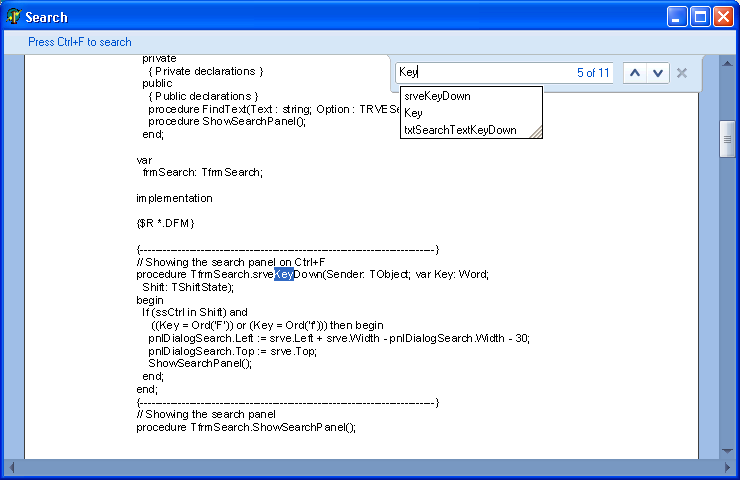 ScaleRichView editor, as well as TRichView editor, allows inserting components. But while TRichView inserts controls directly in the editor window and they work like if they were placed on a form, ScaleRichView works differently: it display images of controls. This method allows to scale controls together with the document, but applies some restrictions (especially when appearance a component is frequently changed; for example, the caret is not shown in TEdit and TMemo). To take all advantages of this feature, you can use SRVControls. 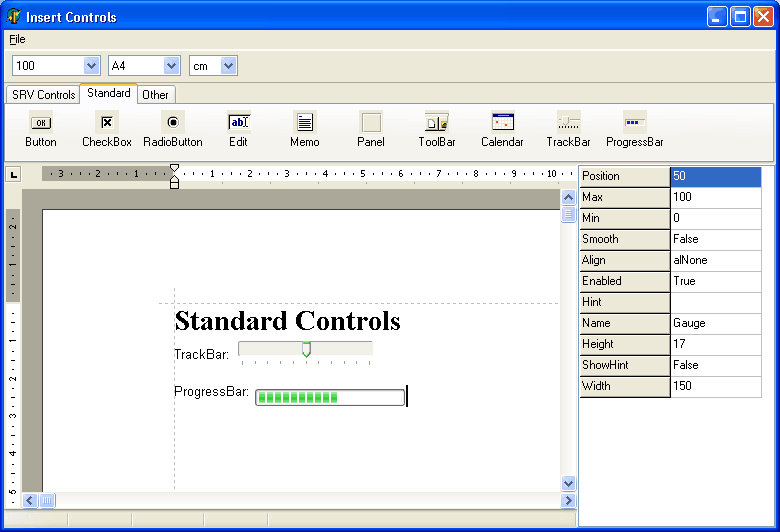 SRVControls is a set of controls that was designed to provide full functionality when inserted in ScaleRichView editor. have the same appearance in all versions of Windows. TSRVEdit is a single-line edit control, designed for insertion in TSRichViewEdit. In addition to properties common with TEdit, TSRVEdit has properties for displaying its state. TSRVCheckBox and TSRVRadioButton can be used to create questionnaires and forms. TSRVGroupBox — panel with caption, analog of TGroupBox. TSRVListBox — advanced analog of TListBox. TSRVComboBox — advanced analog of TComboBox. TSRVPaintBox — analog of TPaintBox. TSRVMemo — analog of TMemo. TSRVEdit and TSRVComboBox can display a list of suggestions. 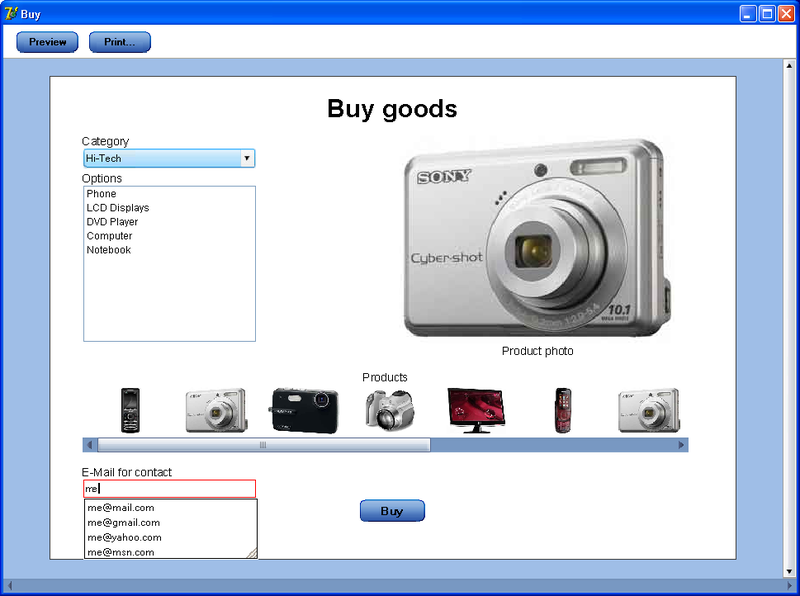 Unlike a combo box drop-down list, items in this list are generated dynamically and depend on the text in the control. TSRVTabSet displays horizontal or vertical tabs. The user can click or rearrange them. This component is used, for example, in the ActionTestTabs demo for switching between documents. 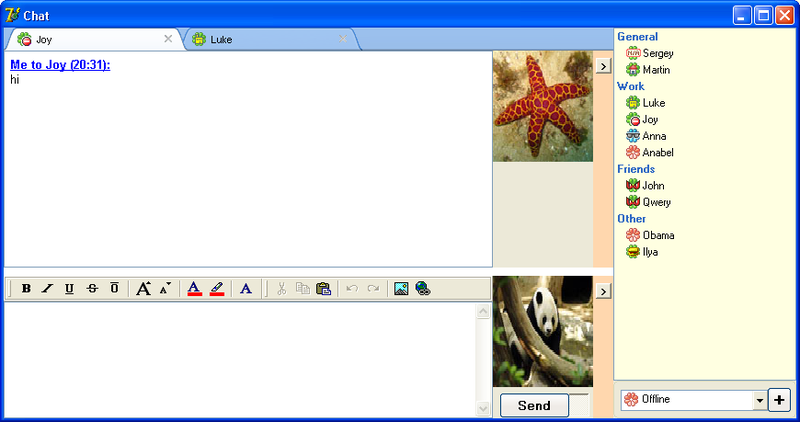 TSRVImagesScroll displays a gallery of images horizontally or vertically. 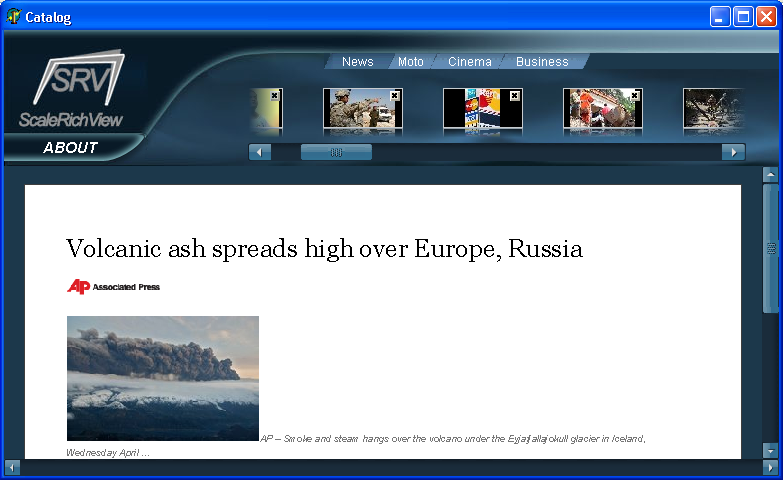 TSRVMediaPlayer component was created specially for SRichViewEdit. The component provides full access to features of media files, allowing creating multimedia documents. Watching video embedded in your document? No problem! can display TV channels and play radio stations (if TV/radio tuner is available). ScaleRichView editor allows embedding ActiveX components, including Adobe Flash (TShockwaveFlash). SRVControls\​Demos\​*\​InsertControls\ — the demo showing how to insert components in the editor and how to change their properties.